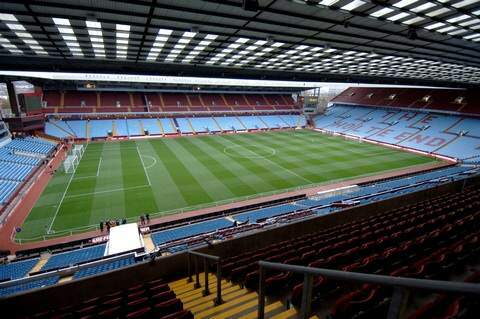 Aston Villa host Manchester City this weekend at Villa Park, a stadium where Aston Villa have struggled to get results. Manchester City are high on confidence after a 4-1 victory over arch rivals Man. United. Aston Villa on the other hand, beat Norwich 1-0. Villa will hope to avoid a defeat because it may be the first time since 1943, which Villa lost their first three home games. They will have to try that without top scorer Christian Benteke who injured his hip last weekend. Man. City boss Pelligrini is keeping Champions League in mind and may rotate his squad a little, City will be playing against Bayern Munich on Wednesday. To give some optimism to Villa fans, the last time City played a Premier League game before a Champions League game, they struggled to beat Stoke City and in fact almost lost the game. But you can’t take away the depth and quality of the Man. City side. Aston Villa will be without Benteke and Westwood who have struggled with injuries since last week. However, Luna, Clark, Delph and Agbonlahor (who missed Villa’s League Cup game) are set to return to the starting 11. Jores Okore, N’Zogbia and Gardner are still out with long-term injuries. Manchester City will be without key striker Aguero, he obtained an injury against United late into the game. David Silva will not be risked however maybe fit for Bayern Munich on Wednesday. Manchester City have won six of their last seven Barclays Premier League encounters with Aston Villa. Brad Guzan has had the most touches of any Villa player in two games this season (Arsenal & Norwich), something no other goalkeeper has done for a side even once in 2013-14. Aston Villa have conceded nine goals from penalties since the start of last season; a joint-PL-high with Arsenal. Along with bottom club Sunderland, Aston Villa are the only team yet to win a single point at home this season. Man City have kept three clean sheets in their last four Premier League away games. Realistically, I don’t think we can beat City today. They won last weekend and that carry them on today. I’m not convinced by Kozak and I think we will struggle to score today. Obviously I hope I’m wrong, but Navas will destroy Luna today and Negredo will be difficult to keep quiet. we won well against the run of play and I can be critical of lambert tatically sometimes but going 5 at the back was the way to go to deal with their width, I never thought for a minute we were gonna score though let alone 3 and win the match. without being too lambertesque ‘couldn’t fault the effort today’ and seriously that’s what won it and did for man city even when we went behind again after only 6 mins level they kept at it no heads dropping and that’s hard to do when you’re chasing a game you never look like winning. tbf though ooah how many corners did we have to defend? 13 I think, I couldn’t even watch the last one on the 95th minute.